International Experts, Speakers, and Global Advisors for the MPM® and CIPM® Programs that were founded, trademarked and created in the United States. Dr. Rand Fandrich, PHR, CHRA, Certified Trainer MPM, CIPM - Founder Expatriate Foundation and Expert Trainer. Joel has over 15 years’ experience in the Project Management industry, having started his career in in the private sector working for technology firms catering to the financial, auto, and legal industries before working and delivering projects in the public sector. Over the past four years he has worked on a wide range of projects from Permitting, Tax, Judicial and Public Safety. An SME in sustainability through project management, he has is highly regarded for promoting green project practices and has been a key contributor to the global acceptance of the GPM certification. Joel was first accredited by the American Academy of Project Management in 2008 and is a Global Advisor. Mentoring and coaching to project managers with a focus Social Responsibility and Process Improvement. As a Project Management Leader, Advisor and Troubleshooter, Mr. Ricks has over 35 years of Project Management experience in Industry – Fortune 500 and medium to small businesses, Government – State and Federal levels, Academia – small colleges and “Big 10” universities, and the Military – United States and NATO Forces. He is recognized for leadership in project planning, scheduling, prioritization, execution, analysis, risk management and contingency planning, problem prevention and problem solving; addressing a broad spectrum of subject areas including: heath care, aerospace and defense, information technology, telecommunications, engineering, R&D, enterprise-level operations, real estate, property control, security, transportation, distribution and marketing. Mr. Ricks is also an Adjunct Professor of Project Management, teaching MBA and Masters in Project Management students, as well as undergraduate courses. He is a graduate of the United States Military Academy at West Point, New York, and is currently pursuing a PhD in Strategy, Program & Project Management at SKEMA Business School in Lille and Paris, France. • Certified by the American Academy of Project Management, International Project Management Commission, Project Management Institute, American Society for the Advancement of Project Management, International Project Management Association, International Management Consultants Board, and others. • Recipient of a 2011 U.S. Department of Health & Human Services (HHS), Centers for Medicare & Medicaid Services (CMS) Administrator’s Team Achievement Award, the highest honor award granted by the Administrator of CMS, for “outstanding contributions and exemplary performance in developing and implementing an integrated project management process to help CMS effectively and efficiently manage the work required by the Affordable Care Act.” The Affordable Care Act contains over 1,000 pages of legislation reforming and modernizing health care nationwide. Its implementation comprises one of the largest and most complex U.S. Government projects in the past 40 years, extending from 2010 through 2020. With an annual budget of ~$900 Billion (US), CMS impacts over 100 million people each year. • Recipient of the Subcontractor of the Year Award from Boeing for “impeccable schedule performance, excellent technical quality, responsiveness to changes and prompt identification of potential problem areas, cost under-run achieved by aggressive cost saving discipline, and proactive top management.” Delivered ALL hardware (custom-designed and manufactured) and other contract items on time or ahead of schedule, satisfying quality and technical specifications, at 30% less than budgeted cost on a multimillion dollar engineering project. Dr Collins is an international consultant, Project Manager and qualified professional coach and public speaker & lecturer at major Universities worldwide on subjects such as: Team Building, Management Development Programs, Project management, Leadership Paradigms & Styles, Organizational Structures, Management Strategies. Many of his articles in technology and management strategies have been published in major journals, and magazines worldwide. In the Bahamas, his articles on Economic Paradigms of Leadership, Organizational Strategies, Information Systems, Customer Service, Business Strategies and CBI-Ten Years After, The Millennium Bug, and Quality Leadership, have been published by the Guardian. He is a dedicated Rotarian, the Past President of the Rotary Club of Nassau, and a two-time Paul Harris Fellow. Dr. Collins is also a Sports Psychologist, Certified Tennis Instructor (USTA, CLTA, AELTA), Certified Golf Instructor (CPGTA, PGTCA), National Coach Bahamas Golf Federation and Black Belt in Chinese Kung Fu (Choylafoot and Hung Gar). Anthony currently is in his Doctoral Dissertation Phase at Northcentral Unvieristy, and have completed his DBA specilization in Project Management. He holds several certificate in project management from various IVY League Colleges. Including a CPL in Project Leadership from Cornell University, a Certificate in Project Management from New York University and Certificate in Management and IT Management from Rutgers University. His experience is based on strong project management knowledge and experience applied to ecommerce, marketing, sales, data mining, communications and systems integration ventures in the travel industry. Adjunct Lecturer Queens College – City University of New York / Developed and teach the Project Management Certificate Program . 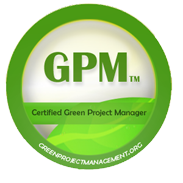 PMI approved program and MPM © approved program Basic & Advance Project Management. He has over 15 years of executive management experience in ecommerce online sales, marketing, project management, business development and national accounts relationship. Senior executive management experience with strong leadership, process improvement and project management (SDLC) (PLC) skills working with external and internal partners. Responsible for developing curriculum and teaching Basic & Advance Project Management certification for AAPM - MPM programs and also good for PMI. This course is an in-depth study of basic and advanced Project Management topics, using tools and techniques. Course covers the nine project management knowledge areas of project integration, scope, time, cost, risk management, human resource management, communication management, and procurement management. Graduate PM Management Body of Knowledge and Case Studies are emphasized to gain knowledge to run successful projects. Prof. Mentz has an earned Doctorate in Jurisprudence in civil law, an MBA in international business, and an Advanced Diploma Certification in International Law from an ABA accredited law school. Mentz holds certification in online teaching and has been a professor for project management courses and holds the MPM Master Project Manager Graduate credential and several other certifications. Dr. Mentz has published over 20 books and has authored a multitude of accepted journal articles. In the last 20 years, Prof. Mentz has taught over 175 college level and graduate courses at business schoosl, MBA programs, and accredited law school levels. Mentz co-authored the IPMC International Project Management Commission Treatise of Knowledge TOK, designed the protocols for project management, and serves on the academic board overseeing the course curriculum and exams for the MPM ® and CIPM ® Certifications. Mentz is a licensed attorney and qualified to practice in the state and federal jurisdictions in the United States of America. Mentz has been quoted or featured in some of the world's most respected news venues such as the: Wall Street Journal, The El Norte Mexico, The Financial Times, and the China Daily. Prof. Mentz is Chairman of the Board of Standards for the IPMC and AAPM. Mentz is the recipient of several faculty awards and an award for meritorious service to charity. Dr. Dimitrios S. Stamoulis, CEC, MPM, Banking Executive & Unviersity Lecturer, Athens, Greece. Prof. Dr. Sean Patrick Rozario, DFA, MBA, MPM, MFP, FAD, CWM, MFC - Honorary Advisor Asia and Singapore. Diethelm Singapore Pte Ltd.
Dr. Cornel Collins, MBA, MSc, PhD, MPM™, CIPM™, IWWP, CPM, CAC: - Lignum Technologies (Bahamas) Ltd.
Prof. Dr. Henry Oh, PhD, MPM, RRT-NPS, MT, CLC; Director of Health Sciences Simulation Center, San Juan College, NM, USA. Approval from the Board of Standards must be obtained in writing from both the Chairman and Vice Chairman before anyone is allowed to be a Certified Speaker or Trainer. AAPM ® NEWS featured in: Forbes News, The Business Wire, Reuters Global News, EuroInvestor News UK, Yahoo Finance, Morningstar News, Digital50 News, Direkt Broker Germany News, Ad Hoc News, Centre Daily News, Earth Times, Yahoo News, University of California News, ArabianBusiness.com NEWS, Express Computers Business News in India, and more.